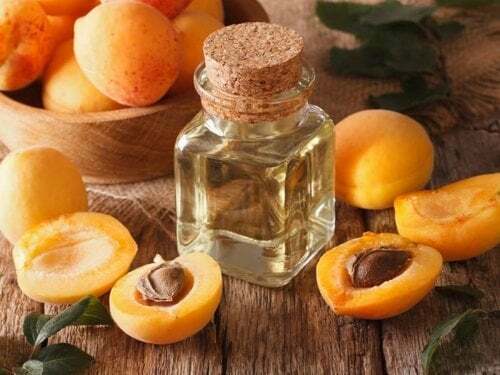 Apricot kernel oil is good for people with sensitive skin. It is non-irritant and soothing for the skin. 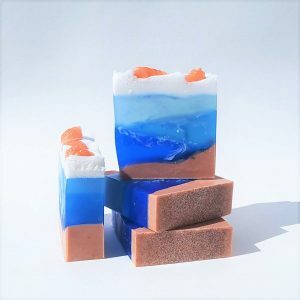 It is light and quickly makes the skin soft and smooth. Apricot oil percolates deep into the skin. It is easy to apply on the skin as it quickly spreads on the skin. It soothes irritated skin. A massage with apricot kernel oil is good for dry, parched skin. One can use it after a shower to seal the moisture into the skin. Since it is light, it does not feel too oily. Once it is absorbed into skin,it provides moisturization for a long time. Apricot kernel oil is one of the best carrier oils for massage. It penetrates nicely into the skin and also improves the delivery of essential oils and other herbal agents. This oil is also good for infusing with herbs and absorbing their essence. It can be utilized for various kinds of massage that require an oil. An abrasive scrub like one formulated with apricot kernels helps get rid of the old, dead skin cells on the surface of your skin to allow new skin to regrow. Over time, this exfoliating action can help get rid of fine lines and small wrinkles, according to the University of Maryland Medical Center, because it rids the skin of the damaged surface cells. This entry was posted in Best Sellers, Body Care, News, Scrubs, Soaps and tagged amygdalin b17, apricot benefits, Apricot Kernel, apricot kernel oil, Apricot Kernels, apricot kernels cancer, apricot kernels for cancer, apricot nuts, apricot oil, apricot pits, apricot seed kernels, apricot seed oil, apricot seeds, apricot seeds and cancer, apricot seeds cancer, apricot seeds for cancer, apricot seeds for sale, b17 cancer, b17 supplement, b17 vitamin, bitter apricot kernels, bitter apricot seeds, buy apricot kernels vitamin b17 foods, laetrile, raw apricot kernels, raw apricot seeds, vit b17, vitamin 17, vitamin b17, vitamin b17 cancer cure, where to buy apricot kernels.